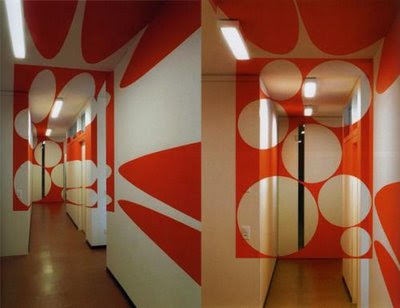 Here Design Interior In Reality Optical Illusion.Its really quite a nice idea to do this. The visitors who aren't standing in the proper angle won't have a clue about the concept. 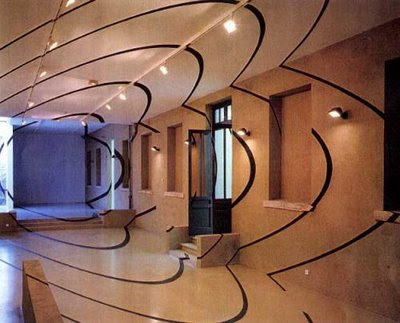 They wont be able to make out what these lines & curves on the walls are for. This way you can choose whom to share this little secret with.